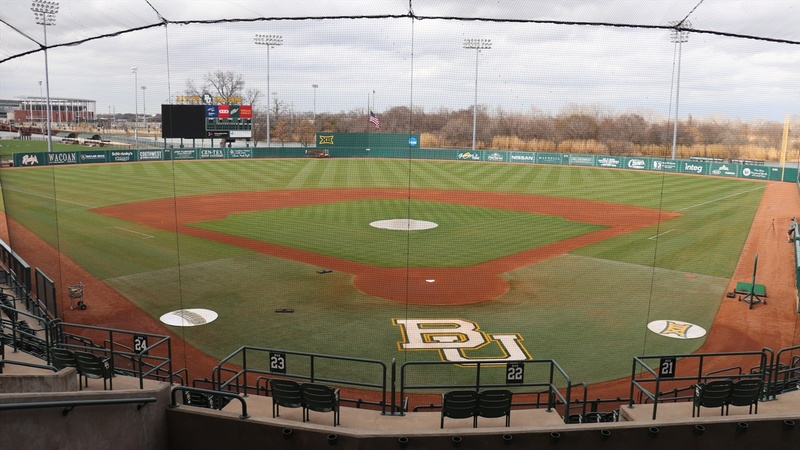 WACO, Texas – Baylor baseball adds 12 players for the 2020 season on Wednesday, adding to an already deep team coming off the Big 12 Tournament title and back-to-back NCAA Tournament appearances. Three-year varsity letterwinner at Colleyville Heritage High School … Named 2018 First-Team All-State … Won District Offensive MVP honors as a junior after hitting .465 … 2017 Second-Team All-District … Perfect Game Underclass All-American … Member of National Honor Society. Four-year varsity letterwinner at Kaufman High School … Earned 2018 12-4A MVP honors after posting a .402 batting average with five home runs and 40 RBI his junior year … Selected as 4A D-BAT Hitter of the Week on April 10 … 2017 First-Team Catcher on 12-4A All-District Team … 2016 Second Team Catcher on 13-4A All-District Team … Two-time Perfect Game Underclass All-American Honorable Mention. Four-year varsity letterwinner at Etiwanda High School … Three-time All-State infielder, earning First-Team honors in 2017 and 2018 … Won Baseline League MVP in 2018 as a junior hitting .452 with 47 hits and 26 RBI … Named Perfect Game California World Series MVP in 2018 … Earned All-Tournament Team honors for WWBA events in Florida and Georgia. Four-year varsity letterwinner at Shadow Creek High School … Named 2018 District Offensive Player of the Year after posting a .416 batting average with 24 runs scored, 23 RBI, 13 stolen bases, and one home run … Earned 2018 Perfect Game All-American High Honorable Mention honors … 2018 HABCA Junior All-Star … 2017 First-Team All-District shortstop after batting .449 his sophomore year … Also participated in marching band. Three-year varsity letterwinner at Plano West Senior High School ... Earned 2016 second-team All-District honors as a pitcher … Named 6-6A District Pitcher of the Year in 2017 after throwing 70 innings with a 1.20 ERA and 84 strikeouts … Member of the 2018 Perfect Game WWBA 17U National Championships All-Tournament Team … 2018 Rawlings/Perfect Game Underclass All-American … Two-time Rawlings/Perfect Game 2019 Top Prospect. Two-year varsity letterwinner at Round Rock High School … Hit .267 with 31 hits, 14 RBI and one home run … Participated in 2018 Area Code Games in Long Beach, California and 2017 Area Code Underclass Games in Compton, California … Member of National Honor Society. Two-year varsity letterwinner at Poway High School … Named to Palomar League Honorable Mention Team after hitting .310 with a .367 on-base percentage … Represented Poway HS in Palomar League Junior All-Star Game … Member of All-Academic Team … Rawlings Preseason Underclass All-American … Son of former big leaguer and current New York Yankees third base coach Phil Nevin … Brother, Tyler, is in the Colorado Rockies organization. Four-year varsity letterwinner at Calallen High School … Named First-Team All-District as a pitcher in 2018 … Earned 2018 First-Team All South Texas and Second-Team All State honors as a pitcher … Recorded a 0.75 ERA with 128 strikeouts as a junior going 10-3, leading team to District 30-5A Championship … Also posted .291 batting average with 25 RBI in 2018 … Compiled a 5-2 record in first two years as varsity pitcher with 73 total punchouts … Named 2016 Perfect Game All-American Honorable Mention, 2017 Perfect Game All-American High Honorable Mention, and 2018 Perfect Game All-American High Honorable Mention … Selected to play in Junior National All-American Game in Fort Myers, Florida in 2017. Varsity letterwinner at Midway High School … Won District 8-6A MVP honors as a pitcher … Named Second-Team All-State … Preseason Underclass All-American ... Member of All-SuperCentex First-Team … Racked up 117 strikeouts in 2018 … Earned Perfect Game and Under Armour All-American honors ... Competed in the 2018 All-American Classic. Four-year varsity letterwinner at Central High School … 2018 First-Team All-District as a utility player … 2017 Second-Team All-District as a third baseman … 2016 Second-Team All-District as a second baseman … Career .380 hitter … Earned All West Texas Super Team honors … Also lettered in track and field. Varsity letterwinner at Midway HS ... Plays club ball for the Dallas Patriots ... 2017 & 2018 WWBA National Championship All-Tournament Team ... Patriot of the Year ... Helped lead team to Pathway Baseball National Title ... Patriots 11th Ranked by Perfect Game. Three-year varsity letterwinner at Stratford High School … Named 2018 First-Team All-District as a pitcher … 2018 VYPE Magazine North Houston Pitcher of the Year … Earned 2017 All-District Honorable Mention honors … Also lettered as a varsity swimmer ... Member of National Honor Society … Member of Academy of Science and Engineering.